Professor Susan Merrill is an adjunct professor at Brigham Young University. Her previous assignments included Senior Governance Advisor at the U.S. Peacekeeping and Stability Operations Institute (PKSOI), U.S Army War College (USAWC). As a senior official with the U.S. Agency for International Development (USAID), she has had extensive experience in conflict and post-conflict countries in Latin America, Asia, and Africa. She has served in El Salvador, Liberia, Nicaragua, and Cambodia, as well as Bosnia and Iraq. 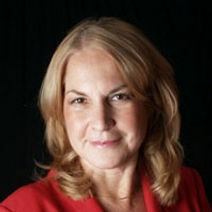 Ms. Merrill was the first USAID representative to the USAWC and PKSOI in 2005. In 2002-03, she was selected to lead a USAID-wide Taskforce on U.S. Foreign Aid in the National Interest, an examination of the successes and failures of foreign aid and the role of aid in U.S. foreign policy. In her overseas assignments, she was Acting Mission Director, Cambodia, and held senior level positions in missions in El Salvador, Liberia, Nicaragua, and Cambodia. She is an expert in post-conflict reconstruction and governance, conflict prevention and mitigation, and economic stabilization and recovery. 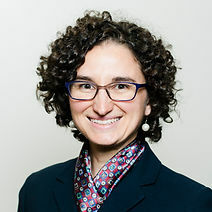 Professor Natalie Romeri-Lewis studied international development, forced migration, and law, exploring judicial reform and women’s informal power in developing nations. She has worked in judicial chambers and NGOs, consulted internationally, and presented at the UN on women negotiating peace. Currently, she teaches international development and is designing new classes at Brigham Young University. She also manages projects and collects data for The WomanStats Project, the largest compilation of information on the status of women, examining 360 variables on laws, institutions, practices, and prevalence across 175 countries. Natalie’s current research focuses on women in urban poverty in Colombia, the benefits of and points of entry for high female involvement during peace negotiations and transitional justice periods, and the pro-development outcomes of legislatures with larger ratios of females.